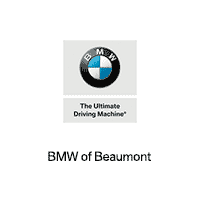 BMW of Beaumont invites you to visit our fantastic luxury car dealership in Beaumont, TX. Our knowledgeable team members are ready to provide you with the best BMW sales, service, parts, and accessories in the Beaumont area. If you’re looking for only the best deals on new & used BMW luxury cars and SUVs in the Beaumont area, then stop by today to test drive one of our latest models. We offer a great selection of new and used 5-Series, 3-Series, X5s, and many other popular models. Call (409) 292-5977 today for BMW pricing, availability, service, parts, accessories and more! If you’re like the majority of drivers who visit the new BMW and pre-owned car showrooms at 1855 Interstate 10, Beaumont,TX, you need financing. We know…most people cringe at the word. But, at BMW of Beaumont, serving Lake Charles, Port Arthur, Nederland and Groves, you don’t have to. Our loan and lease wizards work their magic so that you get the best, hassle-free BMW financing you could imagine. Why do we work so hard to get the terms and conditions you need? So that you can fully enjoy the inherent joy of buying a new or pre-owned car without anything getting in the way. What do you say? Are you ready to start enjoying the ride more? Choose BMW of Beaumont for all of your automotive needs. To learn more about our new BMW dealership’s core philosophies, contact us online. Give us a ring at 409-292-5977. Or, drop by 1855 Interstate 10, Beaumont, TX 77701, during our regular business hours. We look forward to meeting you. Call 409-292-5977 today for BMW pricing, availability, service, parts, accessories, and more!